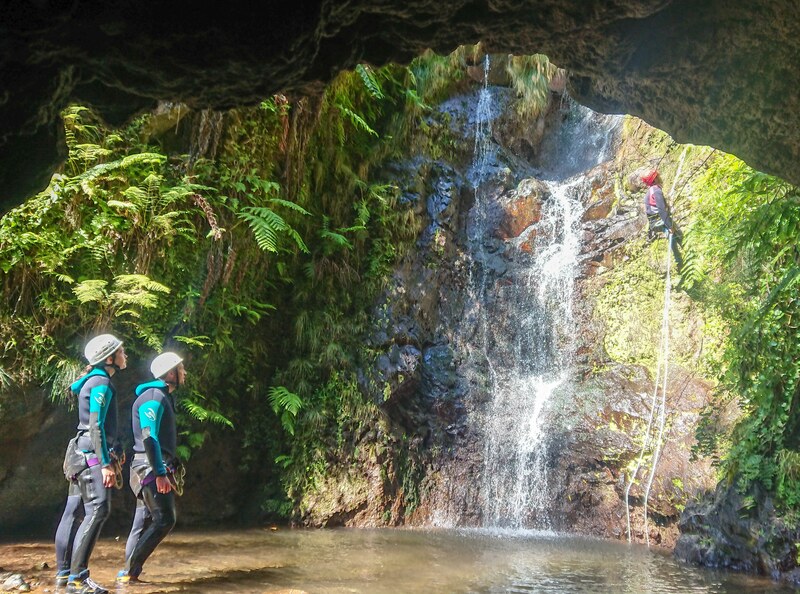 The best activity in Madeira? 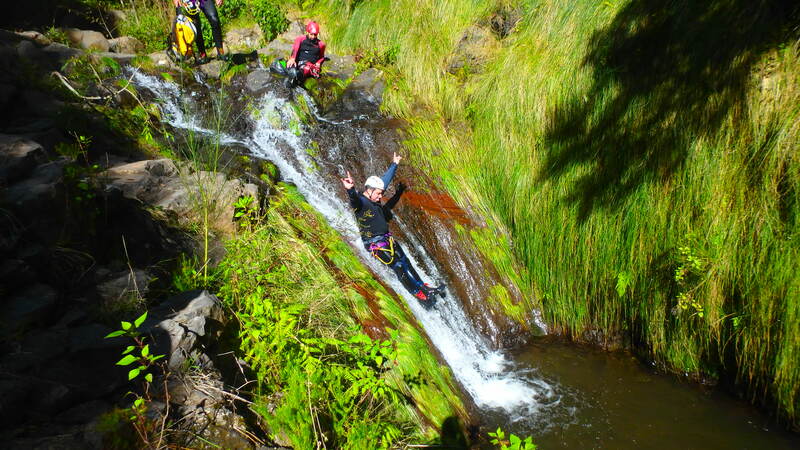 Canyoning for sure. 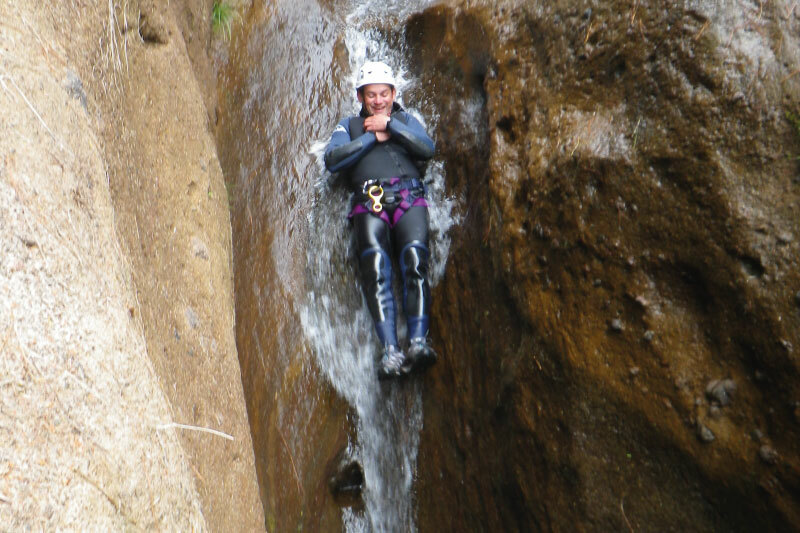 Just sit down and slide down! 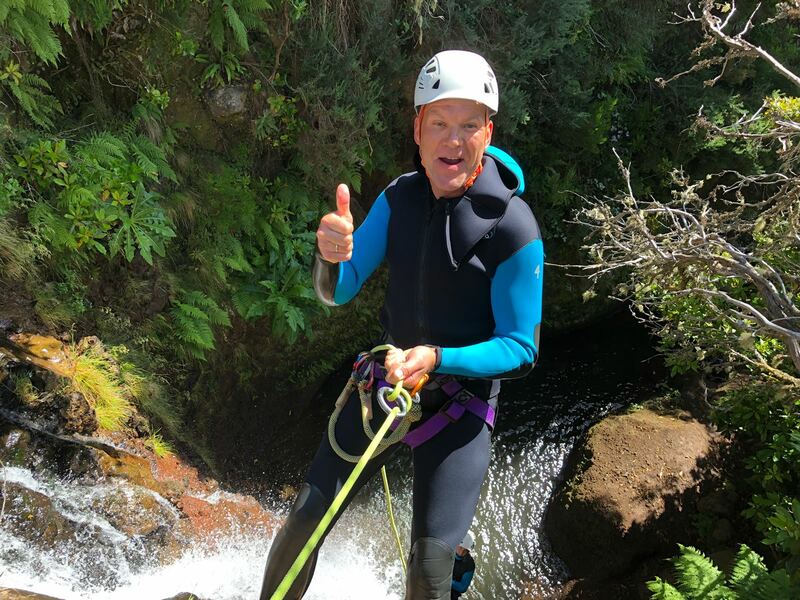 Due to its volcanic origins and orographic characteristics Madeira Island is a world reference as one of the best destinations to practice this exhilarating mountain activity. 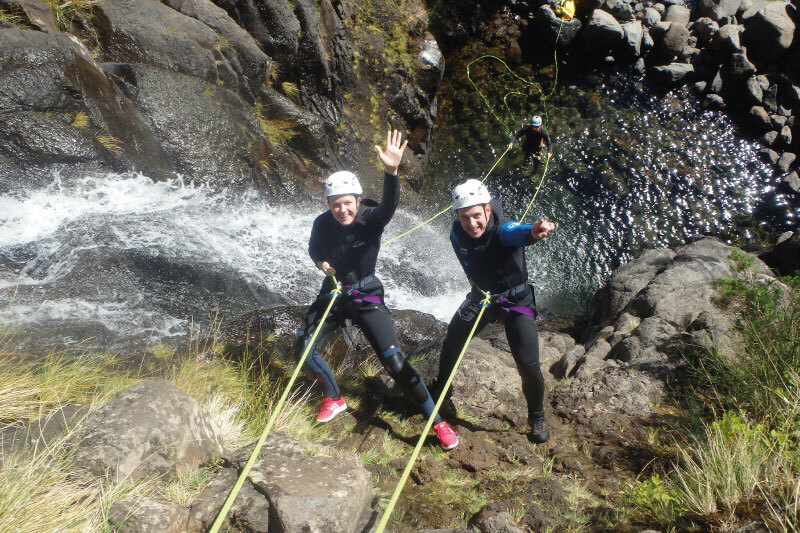 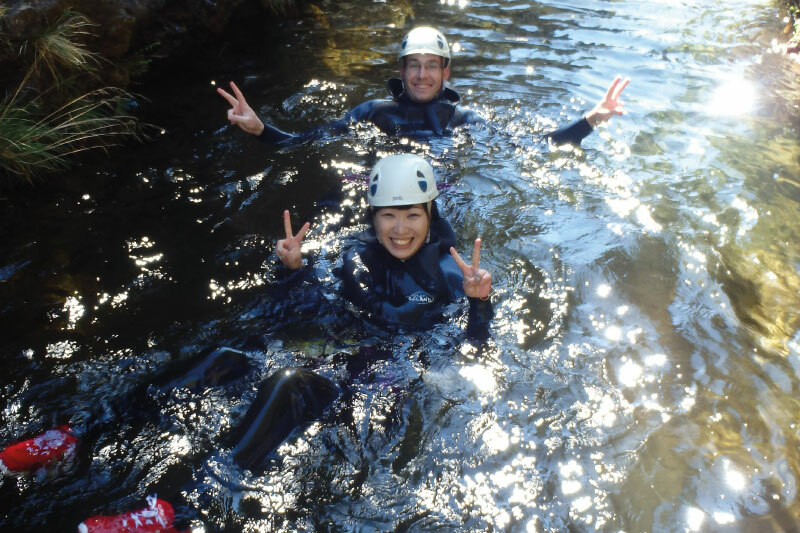 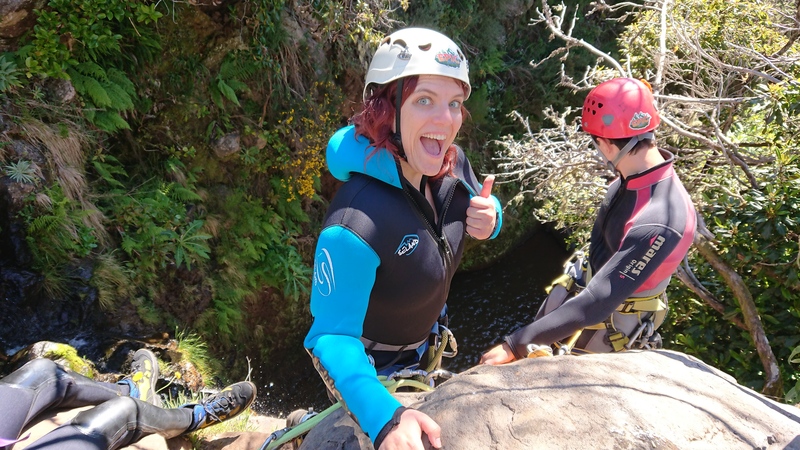 If you want to experience something adventurous or want to get out of your comfort zone this is definitely for you and this beginner canyoning will surely awaken your wild side. 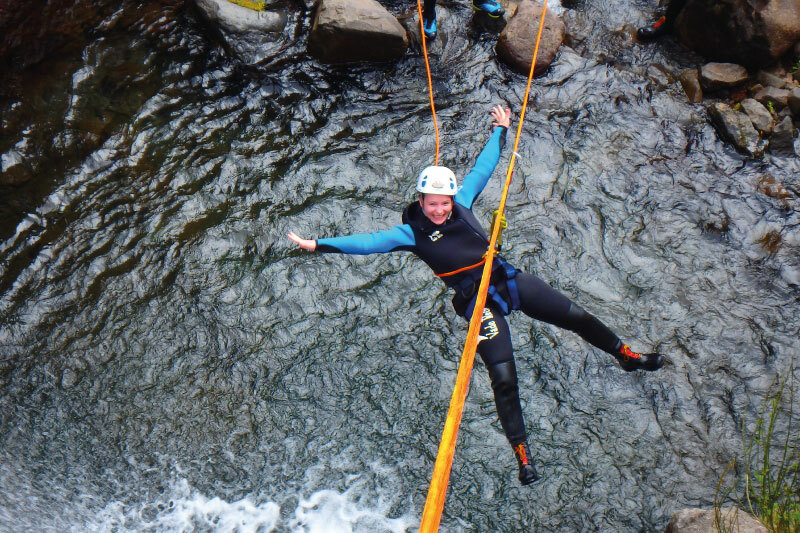 You don’t need a special set of skills or top level physical capabilities to participate. 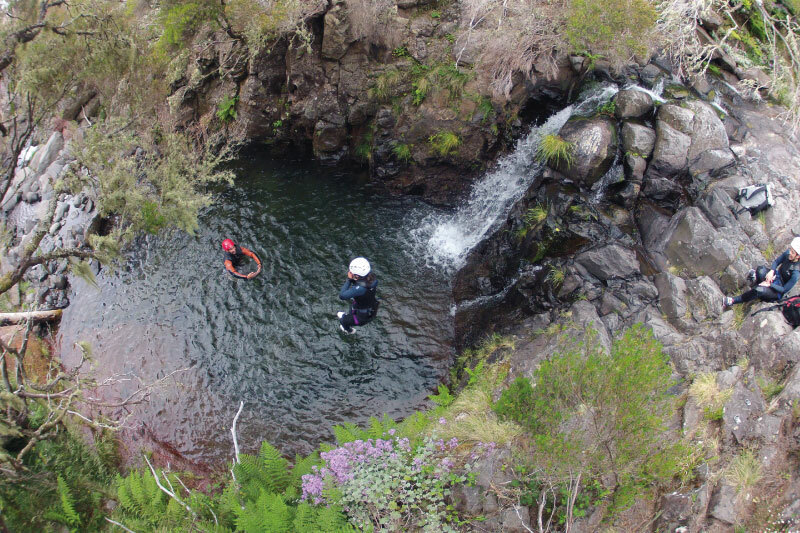 Undoubtedly, it’s a must do activity with plenty of fun. 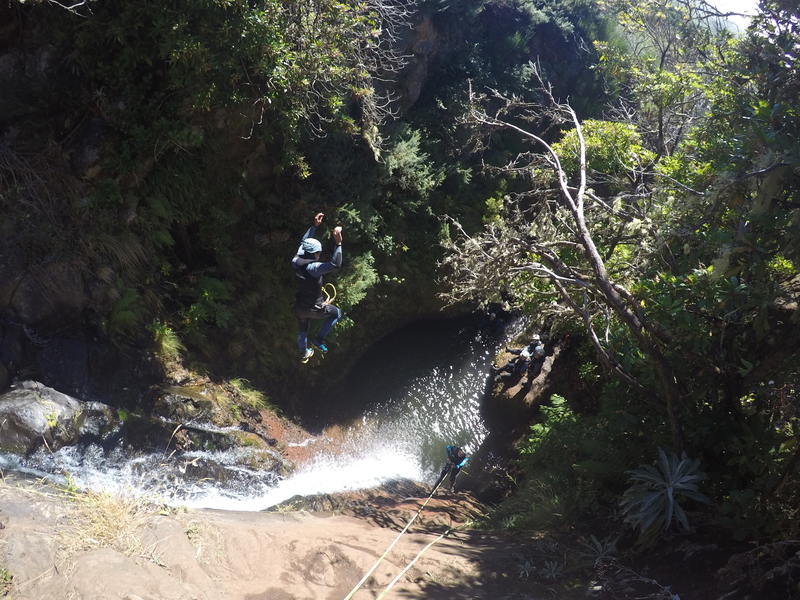 Providing you with exclusive access with nature’s most amazing hidden places. 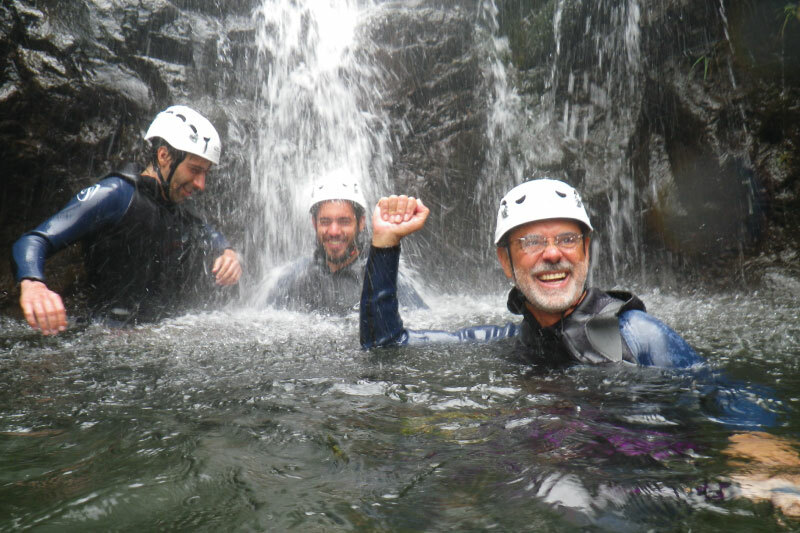 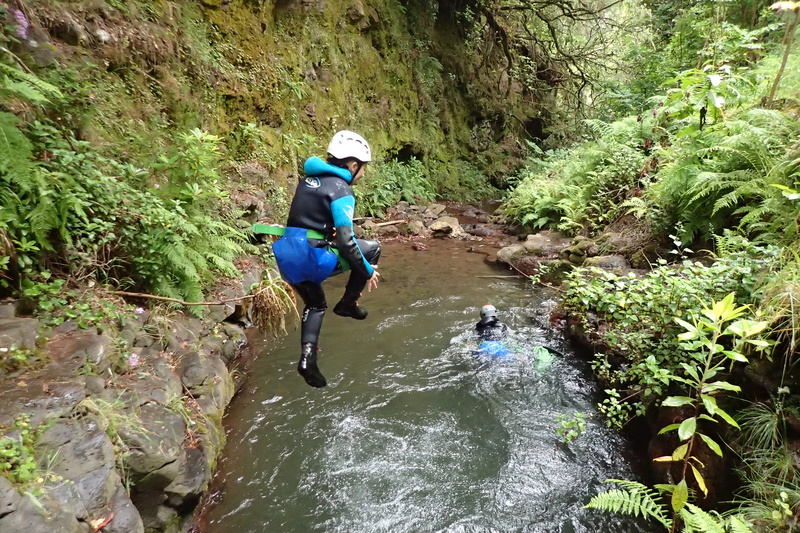 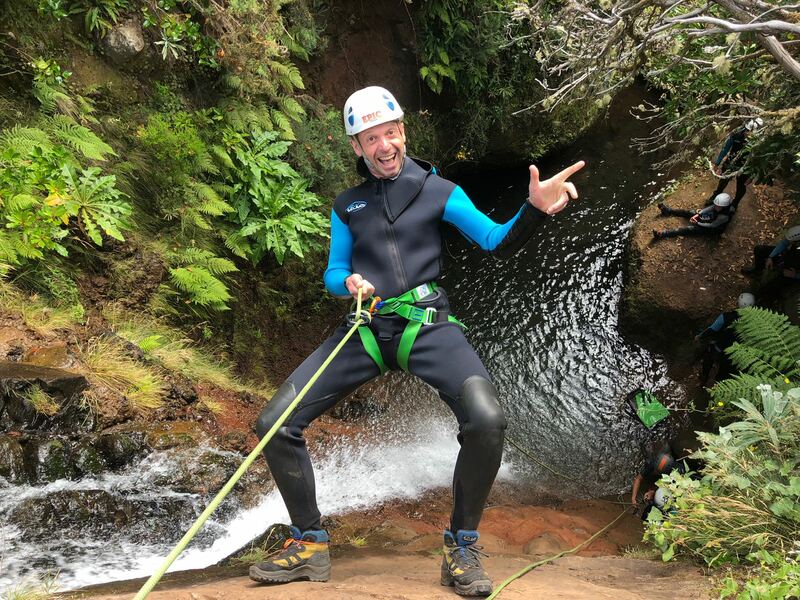 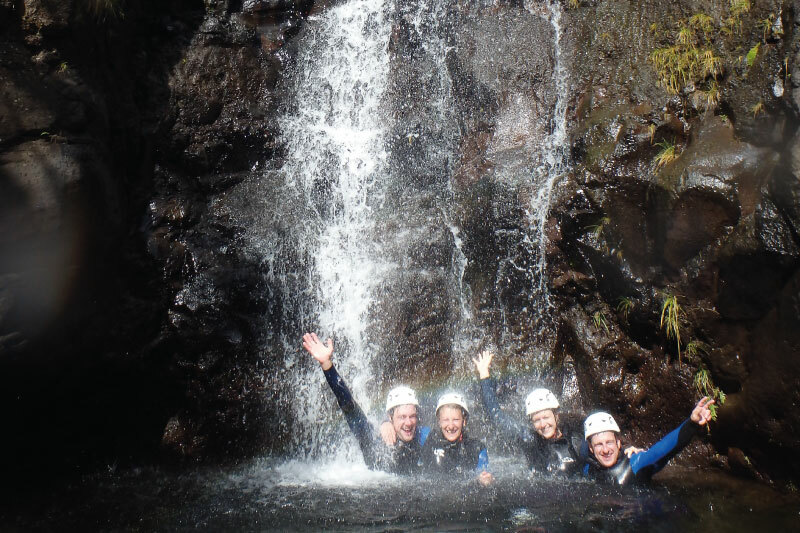 The beginners canyoning route is chosen by EPIC Madeira guides according to the specifics of the day in terms of weather, safety and season of the year. 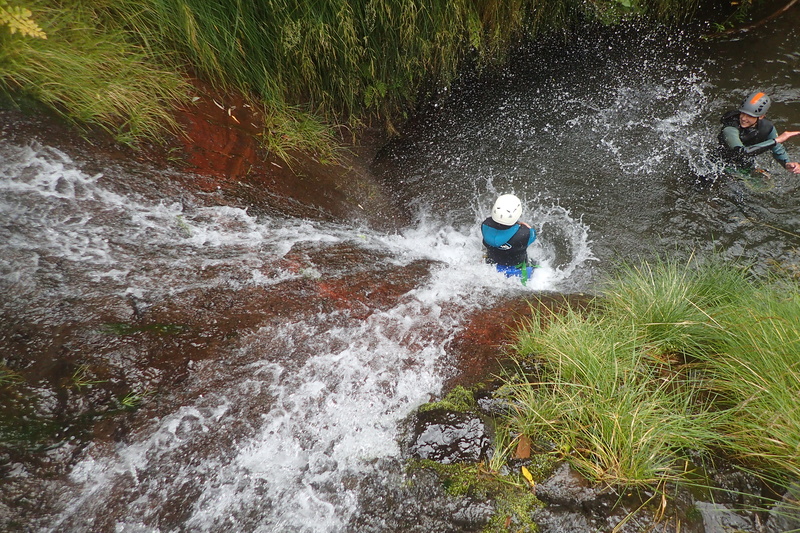 This first level routes take between 2H30 to 3H00 to accomplish (depending on the rhythm of the group it can differ). 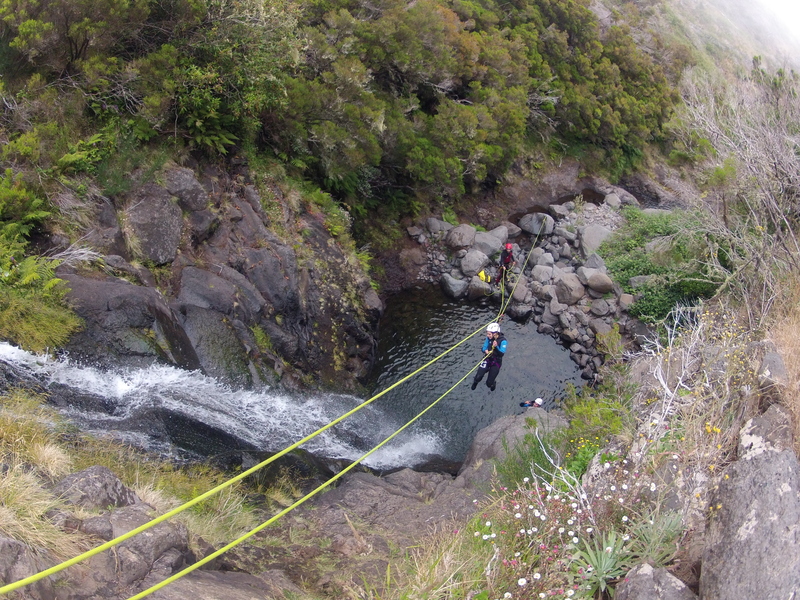 All the routes comprise rappelling, swimming and jumping (optional). 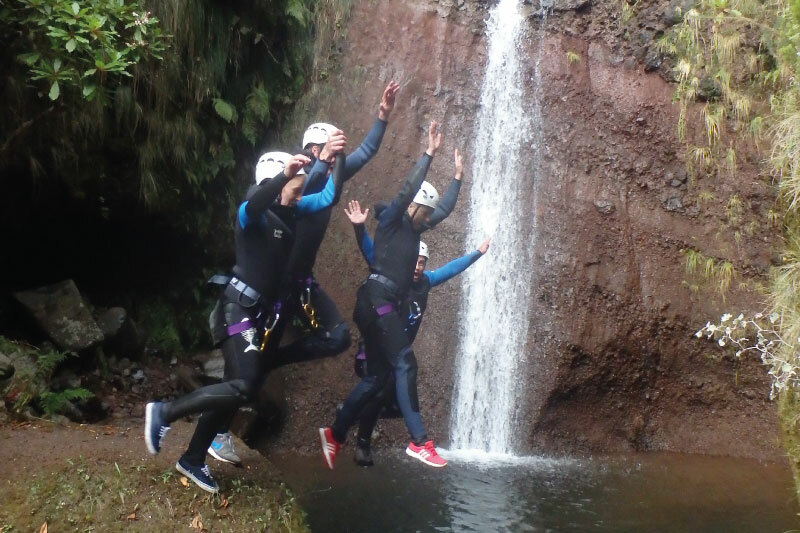 Due to environment specifications where this activity takes place it’s always done in small groups providing a superior quality and safer experience.